Russian ex-governor Belykh charged with corruption goes on trial | Russian Legal Information Agency (RAPSI). MOSCOW, August 4 (RAPSI, Lyudmila Klenko) – A criminal case against former governor of the Kirov Region Nikita Belykh, who stands charged with taking bribes, has been submitted to the Presnensky District Court of Moscow, the court’s press service told RAPSI on Friday. The hearing date has not been set yet. According to investigation, between 2012 and 2016, Belykh personally and through intermediaries received large scale bribes amounting to 600,000 euros for protection of bribegivers and Novovyatsky Ski Plant and Forestry Managing Company controlled by them, the statement reads. He was arrested on June 24 in a Moscow restaurant while he was allegedly accepting 150,000 euros, the third part of a 400,000-euro bribe, then Investigative Committee spokesman Vladimir Markin said earlier. Moscow’s Basmanny District Court ordered the detention of Belykh. 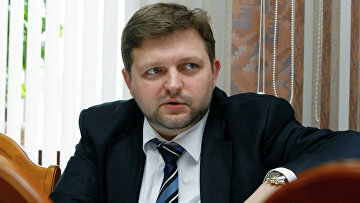 On July 28, President Vladimir Putin removed Belykh from his post of governor because of loss of trust. 15:20 04/08/2017 A criminal case against former governor of the Kirov Region Nikita Belykh, who stands charged with taking bribes, has been submitted to the Presnensky District Court of Moscow.